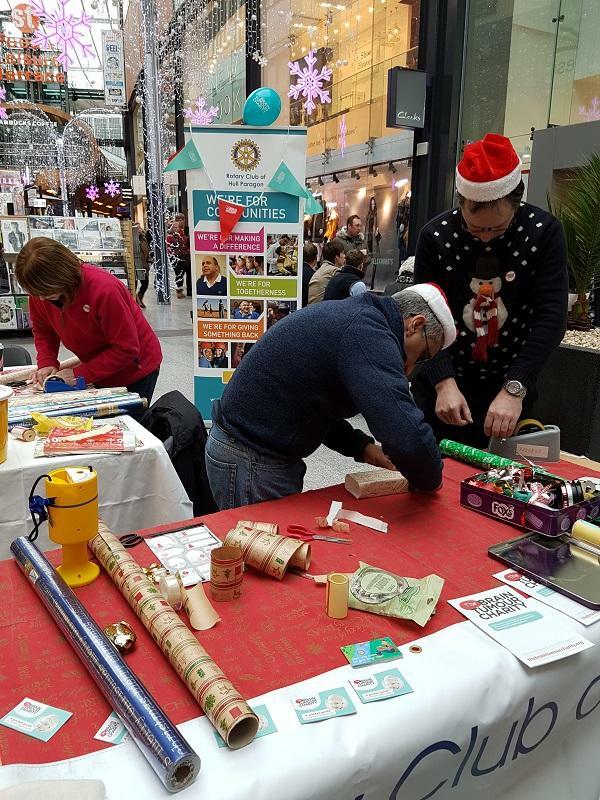 Thanks to those who made a donation in exchange for us wrapping your presents. 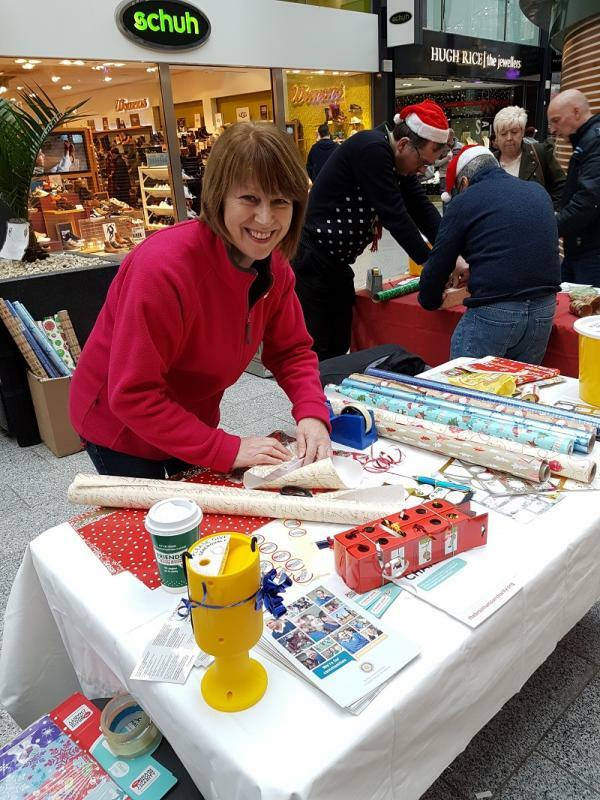 Thanks too for St Stephen's shopping centre for allowing us to use their premises to raise funds for charity. 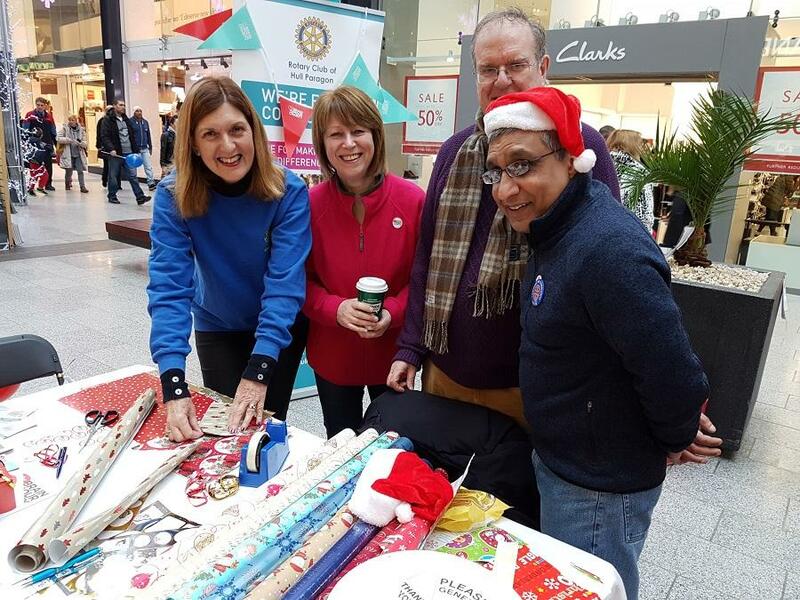 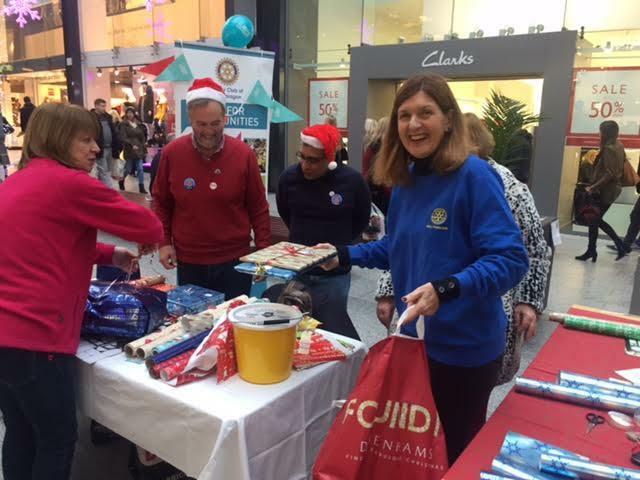 On Sunday 18 December members of the Rotary Club of Hull Paragon wrapped shoppers' gifts at St Stephen's Shopping Centre in exchange for a small donation to our President's charities, which, this year, are the Brain Tumour Charity and Meningitis Now.